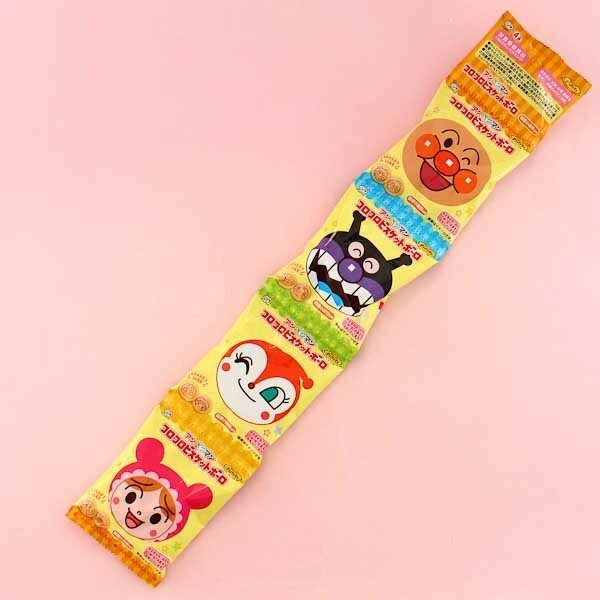 Japanese really love treats by Fujiya, and they also cherish the super famous character, Anpanman! Now he is adventuring with Tamago Boro - egg biscuits that are very popular snacks among kids in Japan! They melt inside your mouth without biting, so they're easy and safe even for little kids to eat. 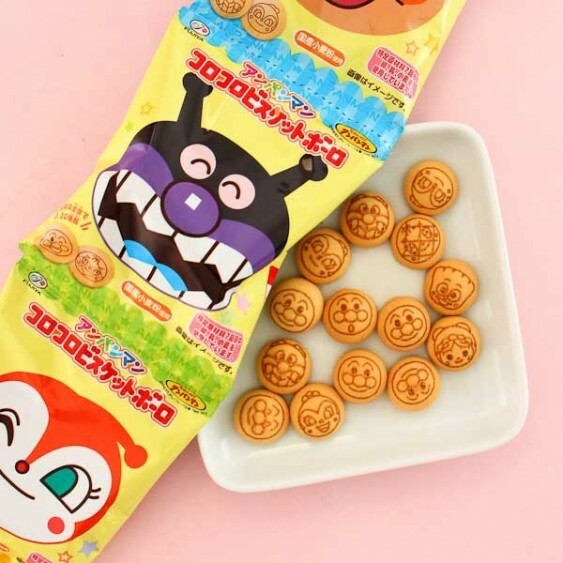 The package includes 4 smaller bags of biscuits with cute little Anpanman-character faces! How many different faces can you find? Take these treats with you anywhere and share them with your friends and family! Oishii! Small egg biscuits with cute little Anpanman-character faces!